FAA had no choice but to release the info, because among other things the flight data was all posted at Flightaware. 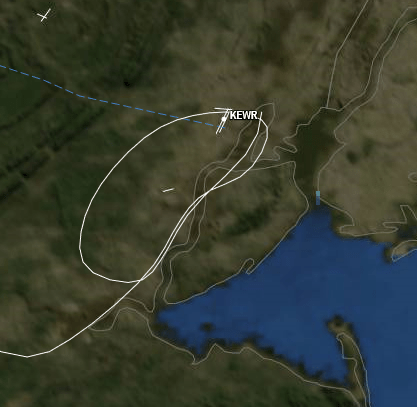 The flight profile clearly shows the near-landing, the go-around and the second (final) landing attempt. The satellite view shows a Bridge Visual approach with some early corner-cutting (the wide loop), followed by a second approach not on the Bridge Visual, thus nearly two miles west of the Bayonne Bridge. This weather sequence shows that the weather was fine, except for strong northwest winds. 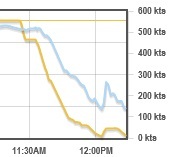 These winds fit ATC’s decision to use the more hazardous runway combination of RWY29 and RWY04R. Not that it had to be hazardous, but at 3PM on a Thursday, at one of the busiest airports in the world, a chain of dumb/weak management decisions may lead to a situation where a controller is working without an effective supervisor or cab coordinator … that extra set of eyes that would see the error before it became an error — and promptly speak up to stop it. There may have been a Supe; he/she may have been doing scheduling paperwork or making calls to set up an overtime controller after getting a sick call from one of the controllers scheduled later that night, on the graveyard. Bottom line is, when the investigation is done it will likely show that, even for just a few seconds or a minute, FAA’s guard was let down and a collision nearly happened. Doubtless, at least a couple ATSAP reports were filed by controllers and/or supervisors in the Newark tower, to secure immunity. FAA encourages these reports which they contend cannot be shared with the media or citizens. In truth, ATSAP only protects the reporting controller (or supervisor) from any disciplinary action; ATSAP does NOT protect filed reports from public disclosure. Nonetheless, FAA is so hell-bent on hiding failure, they will reject all inquiries to produce these ATSAP reports — thus concealing the most critical and timely data on this near-collision. 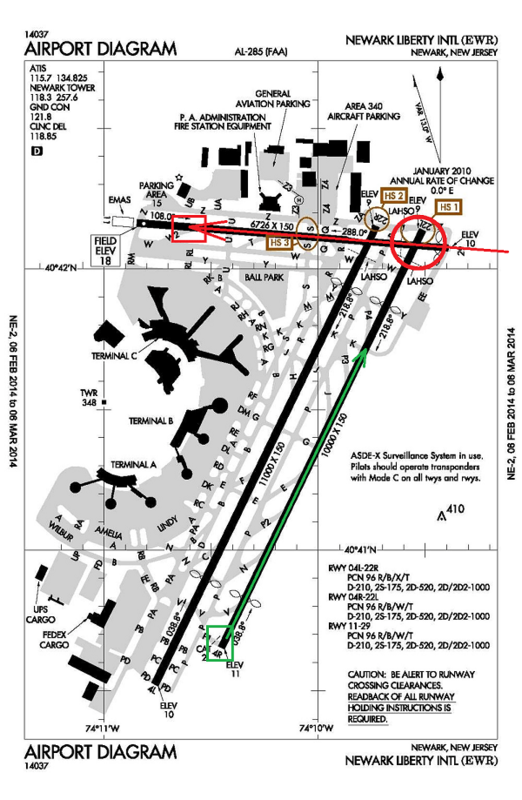 So, if FAA has their way, no citizen outside FAA will ever see these critical ATSAP reports. This entry was posted in Airlines: Commuters/Feeders, Airlines: MajorCarriers, Airports (major), CarelessPerformance, Collisions (& NMACs), CultureOfUnaccountability, News, NTSB, SafetyReporting, SystemCapacity and tagged ATSAP, ReformFAA-(analysis), [KEWR] by reformfaanow@gmail.com. Bookmark the permalink.